Non-woven, lightweight, breathable eye dressing. 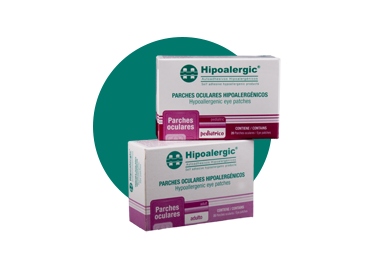 Its inner side is uniformly coated with an hypoallergenic, microporous and sensitive under pressure adhesive and a white synthetic-fiber inner core. 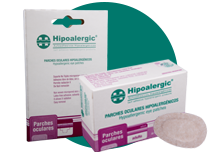 Thin, soft, comfortable and easy to remove leaving no marks or residues on the patient. 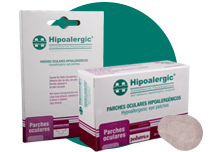 Can be safely used for isolating ocular injuries from the environment; e.g. : wounds, allergies, ocular disorders (conjunctivitis, strabismus, amblyopia, etc), ocular therapies, postoperative care, and other prolonged eye treatments.